I love being on stage. I enjoy connecting with the audience through personal stories. I aspire to speak, in order to inspire, not to impress. Since the age of 4, I’ve always been dancing and performing on stage, ranging from Chinese folk, contemporary, to theatrical mambo. Performing arts is my primary inspirations for mastering storytelling and building stage presence. 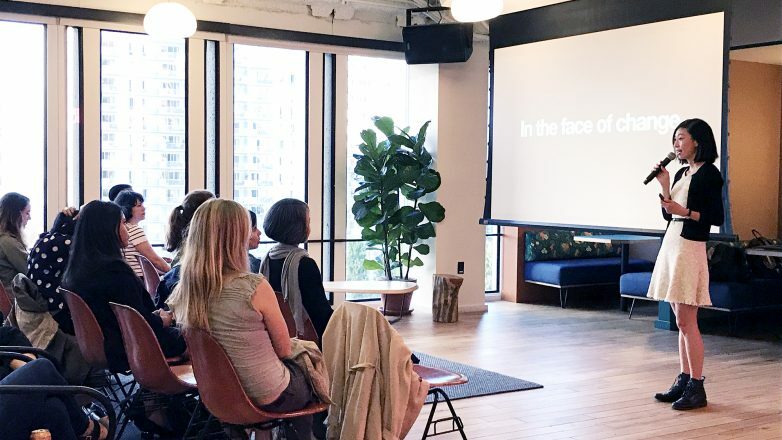 In this talk, I shared my personal story to empower and inspire others to search for their authentic voice in a world that’s constantly changing. The talk took the audience through a journey: the trigger and purpose of finding my voice, the challenges and self-reflections along the way, and the positive influence of making my voice visible. The talk concluded with questions to ask in search of your voice and the lessons learned in the face of change. To suggest a future topic, or want to invite me to speak at your organization? Send me a message.